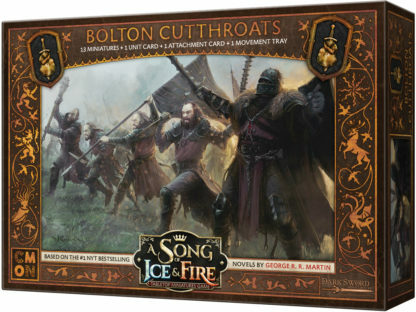 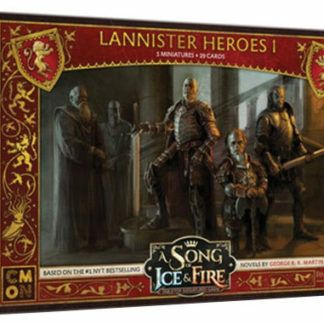 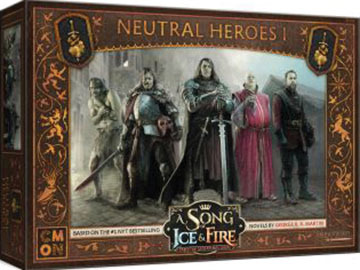 The A Song of Ice and Fire: Tabletop Miniatures Game Bolton Cutthroats unit box contains 12 different Bolton Cutthroat miniatures in four different sculpts, one Dreadfort Captain Unit Attachment, a Movement Tray, and all of the associated Unit cards. 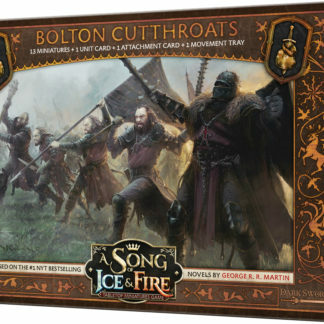 The Cutthroats specialize in driving fear into their opponents, and with the Vicious Trait, they`ll be able to force their enemies to fail Panic Tests on a regular basis. Its one thing to read about war in books, its quite another when you`re standing across the field from men who kill for sport!